The apartment where we live assigns parking spaces to the residents. The rent for these spaces is included in the rent we pay for the apartment. 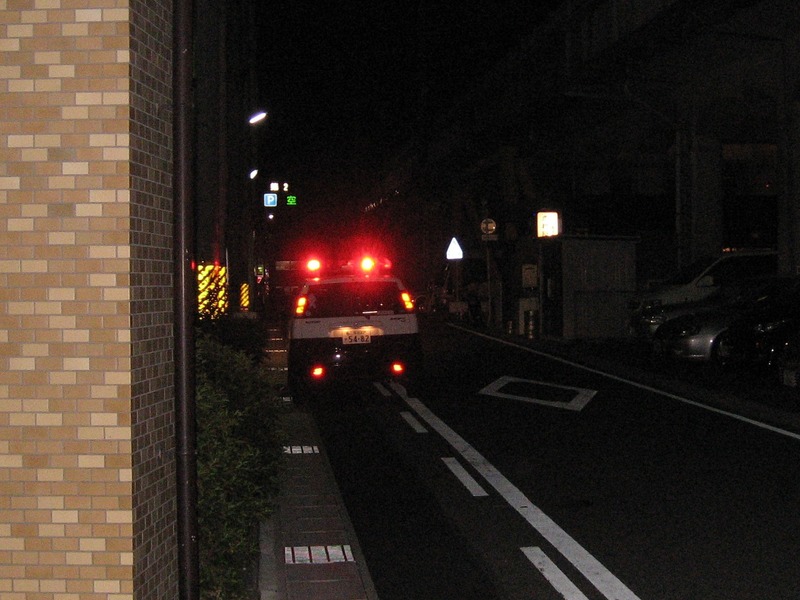 However, when we got home last night (we had gone to a sushi restaurant by car), another car was standing in our parking space. We were not sure what to do, as all the other unoccupied spots were of course property of someone else living in the building. Finally we decided to call the relocation agency and ask for advice. 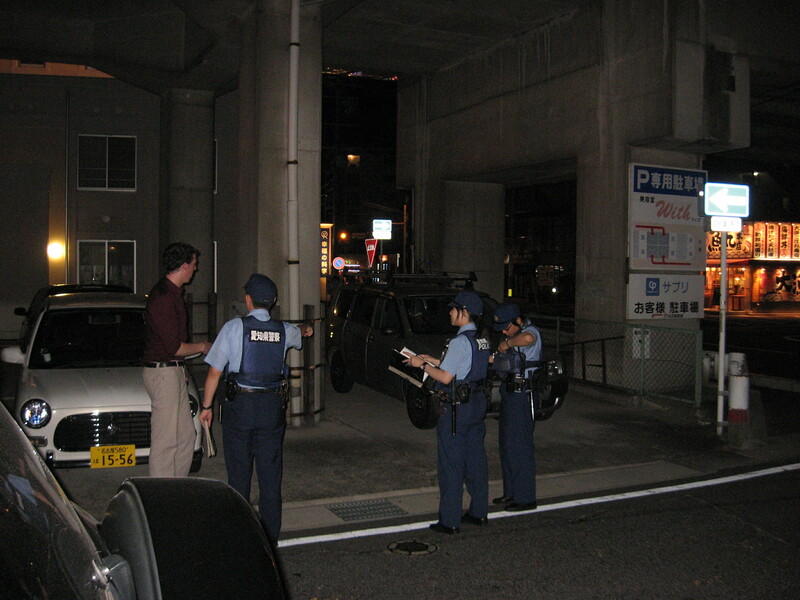 They notified the police and 15 minutes later, a very small car with three police agents crammed inside arrived. The agents – 2 women and a man – get out and start examining the grey Toyota thouroughly: walking around the car, shining at it with flashlights and looking inside. The man starts saying a lot of things in very fast Japanese. Of course we don’t understand anything. Felipe, another expat living in our building who has been here longer, joins in to help translate. The police suggest we park elsewhere. We respond that that will be someone’s else spot and the problem will continue. ‘Saaa, that’s a difficult situation’ the policeofficer answers. After which he continues to suggest the same solution: we park elsewhere, if need be in a paying parking space somewhere. Apparently they cannot touch the car, much less tow it. They won’t even write a ticket. After talking back and forth some more, we finally get him to write a paper (not an official document, just a white A4) saying ‘please do not park here again’. And that’s it. The police leave and we are left to find another parking space. 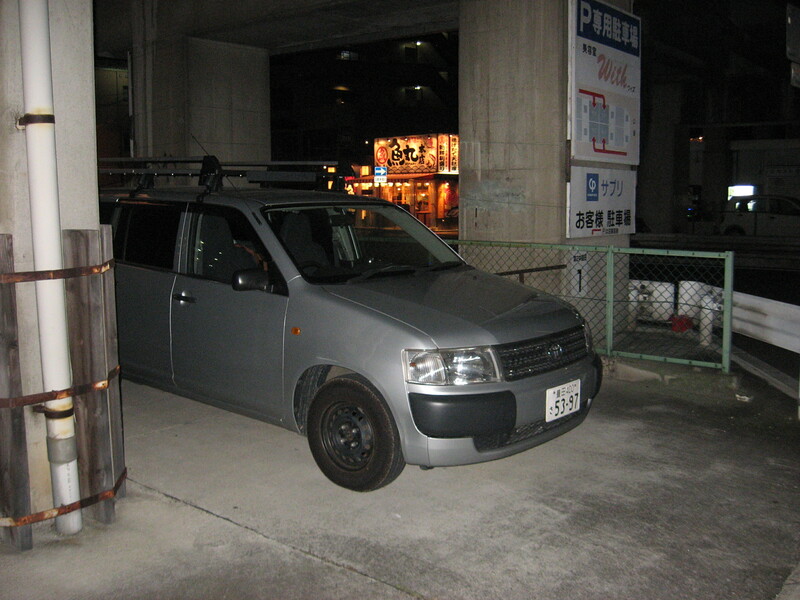 This entry was posted in Japan and tagged Adventures, Cars, Driving in Japan, Impressions of daily life, Police, Toyota City, Transportation by Haruko-chan. Bookmark the permalink. Hehehehe 🙂 Nicely done! That surely won’t happen a second time.